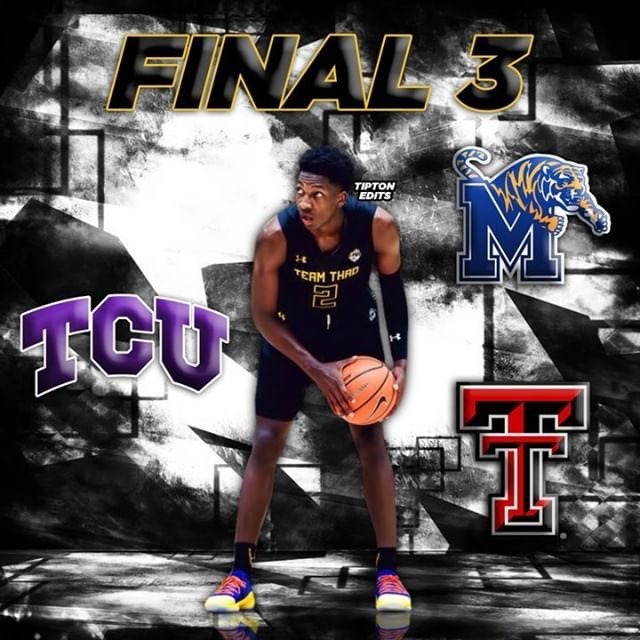 Damion Baugh, the 6-foot-5 combo guard from Tennessee Preparatory Academy (TN) and Team Thad AAU program, has trimmed his list to three schools. Baugh is currently down to Memphis, TCU and and Texas Tech. He cut Auburn, Georgetown, and Georgia Tech from the running. He has visited TCU and Texas Tech officially. According to sources, he is expected to be on Memphis’ campus this weekend. He also stated that a decision is going to be made soon. This year on the Under Armour Association, Baugh averaged 11.2 points, 6.5 rebounds, and 3.3 assists. According to 247Sports, Baugh is ranked No. 116 nationally and is the No. 3 player in Tennessee.